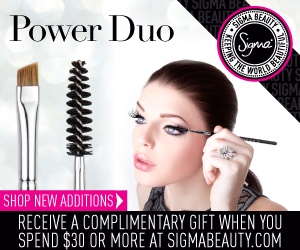 Sigma Beauty Affiliate Program: NEW Brow and Lash Brushes + Affiliate Banners! To use one of the banners below, save the image to your computer, upload it to your blog as a picture, and insert your affiliate link as the URL. The E75 and E80 are the ideal brushes to complete your makeup look. Update your blog with an affiliate banner and share the news of these must have brushes!